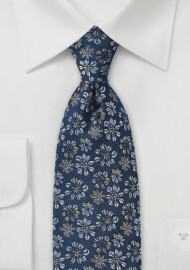 The dark blue tie is the most classic necktie that simply belongs in any man’s wardrobe. 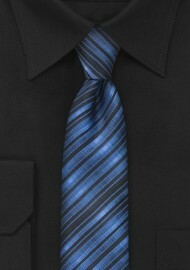 Ties in dark blue match all classic suit colors, will look nice for business as much as semi-formal attire, and are virtually seasonless. 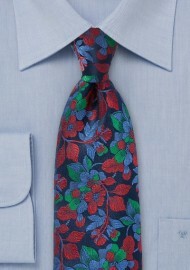 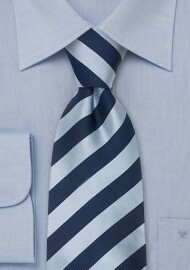 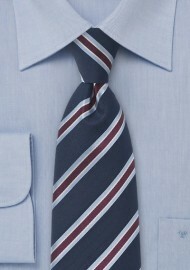 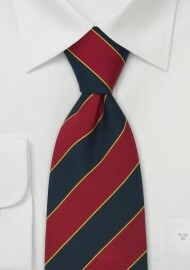 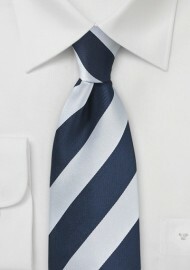 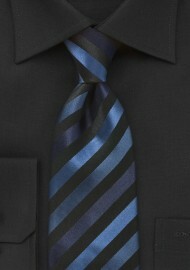 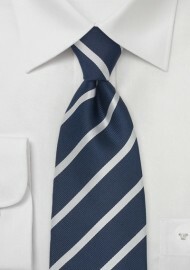 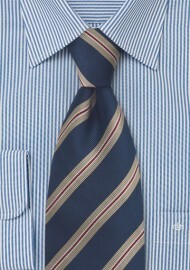 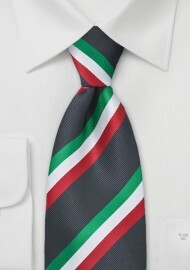 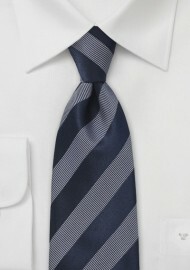 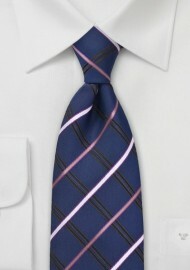 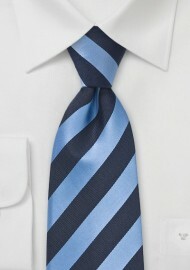 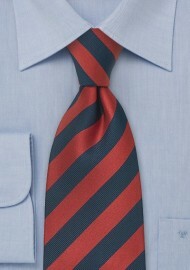 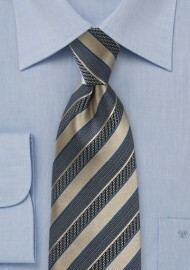 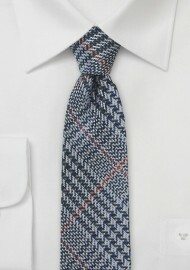 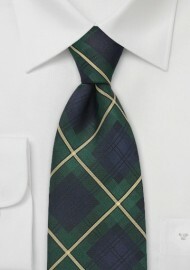 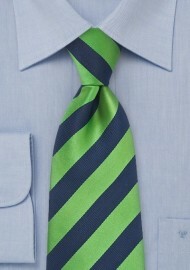 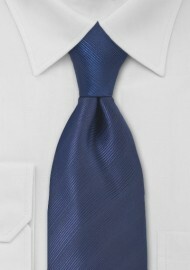 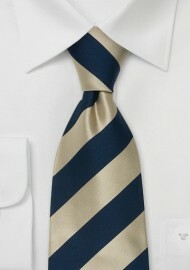 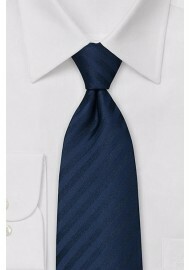 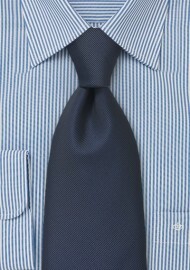 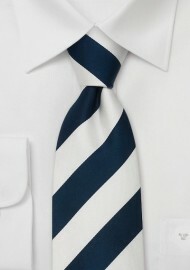 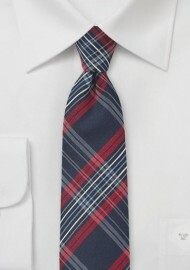 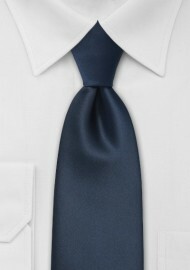 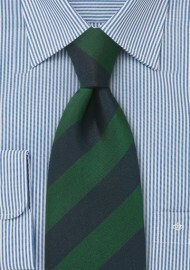 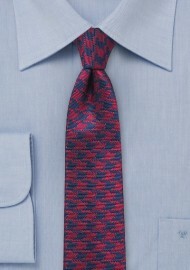 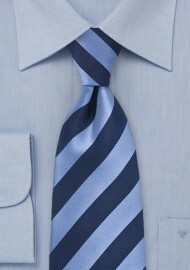 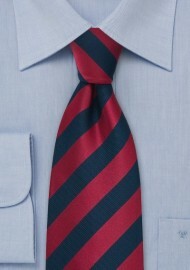 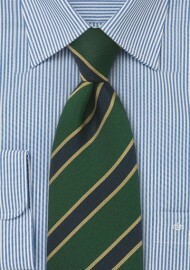 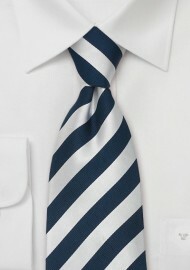 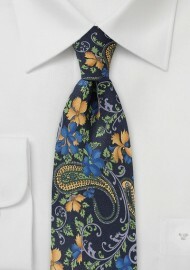 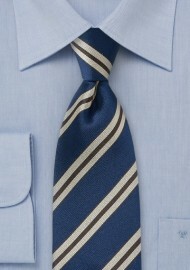 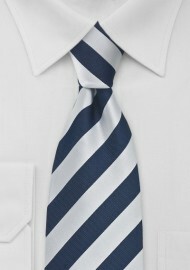 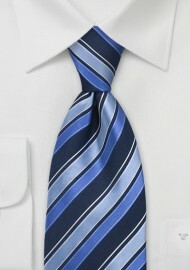 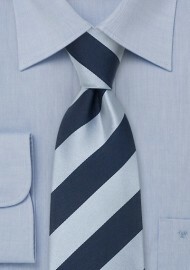 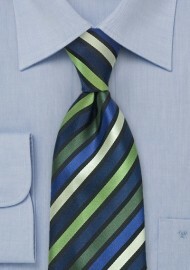 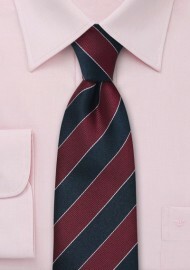 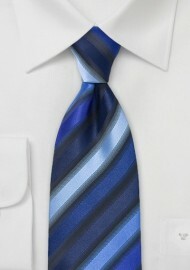 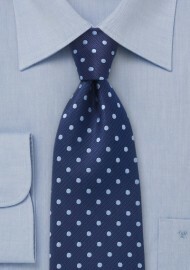 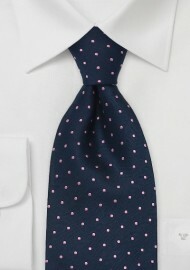 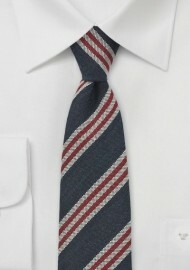 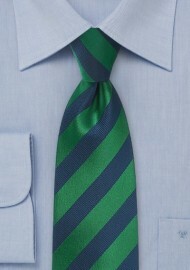 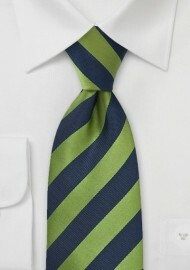 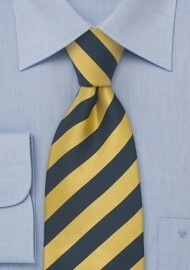 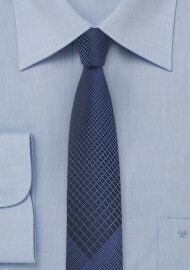 Especially striped neck ties in dark blue and navy are one of the most popular tie choices for business attire.